Great playlists deserve to be on all my devices. 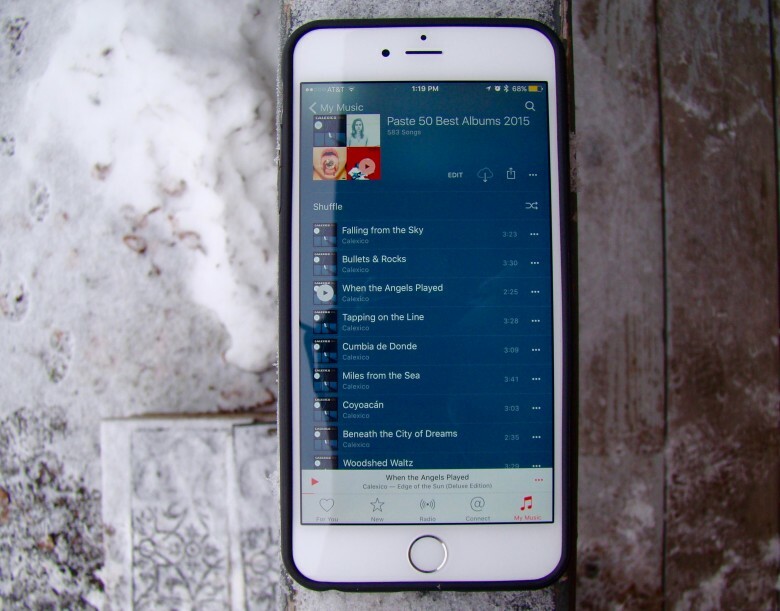 I made an Apple Music playlist of Paste’s top 50 albums of 2015 via iTunes on my Mac. I was able to share it out on Facebook and to my friends via Messages, but I wasn’t able to see the playlist on my iPhone. I made sure that I was logged in to my iTunes account on both my Mac and my iPhone, I signed in and out of iCloud, and I even force-quit Apple Music on my iPhone to try and fix the issue. None of these options worked. After a bit of searching on the internet, I figured out what the problem was. Here’s what you can do if you’re having the same issue. Ultimately, it comes down to the way Apple Music and iTunes work together. The streaming music system uses iCloud Music Library, a newer cloud-based protocol tied to your Apple ID, to make sure that you’re a member and you have access to the songs in Apple Music you say you do. You’ll need to enable iCloud Music Library on both your iPhone (or other iOS device) and your Mac to make sure you have a seamless experience across devices. You can still share playlists with your friends without it, of course. Click here on your Mac to sync it up. Launch iTunes on your Mac, and then open the Preferences in the iTunes menu (or Command-Comma on your keyboard). 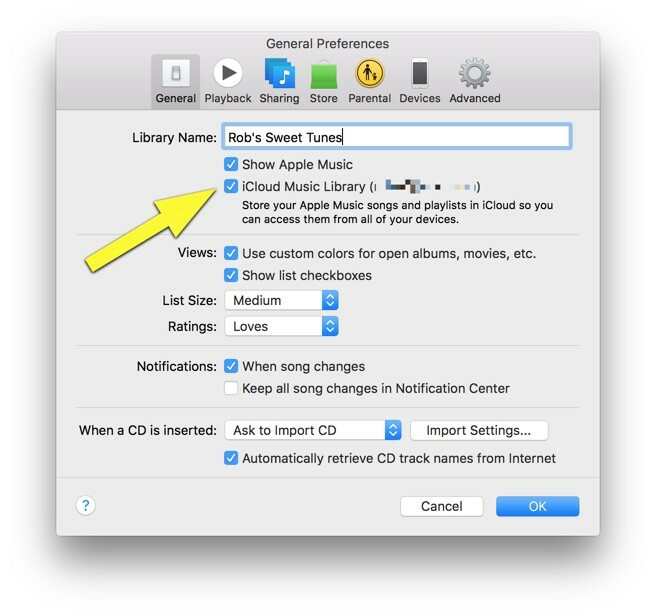 Click on the General tab at the top, and then click the checkbox labeled iCloud Music Library. You may need to login with your Apple ID if you aren’t already. This will make sure that all your Apple Music songs and playlists are available to your Mac, and that any changes you make on your Mac will show up on any other iCloud Music Library-enabled devices. Head into Settings > Music to find this toggle. Launch the Settings app on your iPhone and then swipe down to Music. Tap there, and then toggle iCloud Music Library to ON. This will ensure that any changes you made on your Mac will show up in your Music app on your iPhone as well as making sure any changes you make on your iPhone will reflect on your Mac. Now, like me, you’ll be able to listen to your killer playlist creations on any device you own that can use iCloud Music Library, like your iPad, iPod touch, Mac, or iPhone. Here’s my playlist if you’re interested, along with a link back to the Paste article I took the albums from.